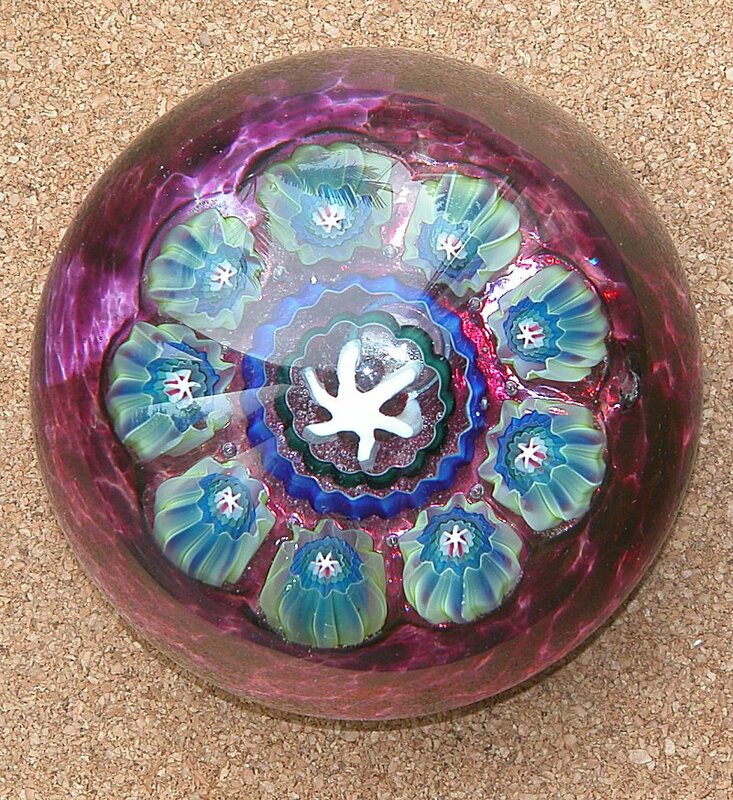 We recently added a second nice millefiore Val St Lambert paperweight to our collection. This one is smaller at 3.1 inches in diameter and lacks a torsade but has all the other features including layered pastry-cane millefiori and injected bubbles. Weight 618g. It is probably from a similar period and is in excellent condition. 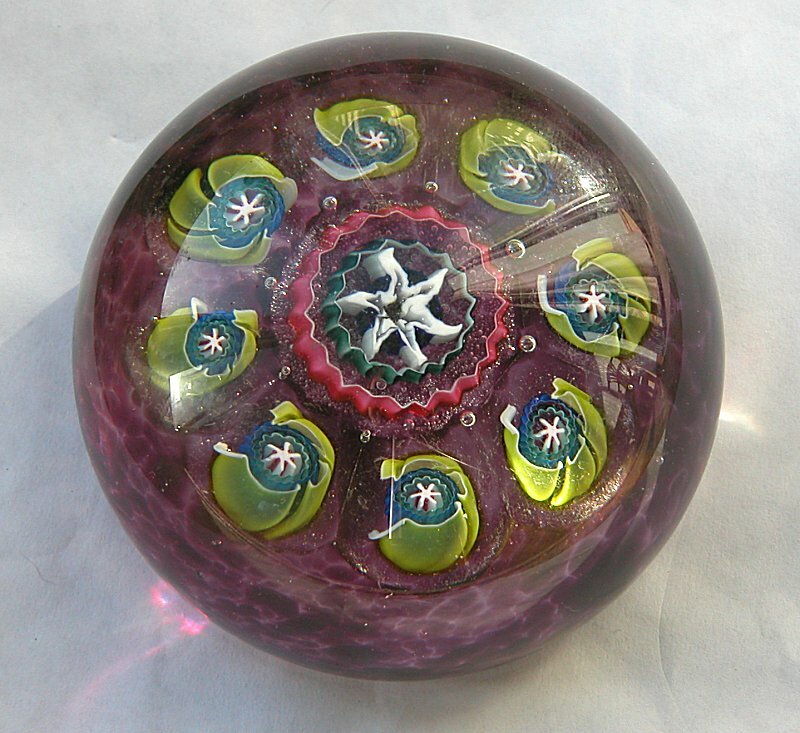 A few named Val St Lambert paperweights on eBay recently have made excellent prices. We recently purchased an almost identical VSL paperweight to this early acquisition. It differs only in that the canes are diffrent colours. It is very rae to find similar VSL paperweights.